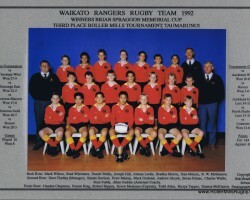 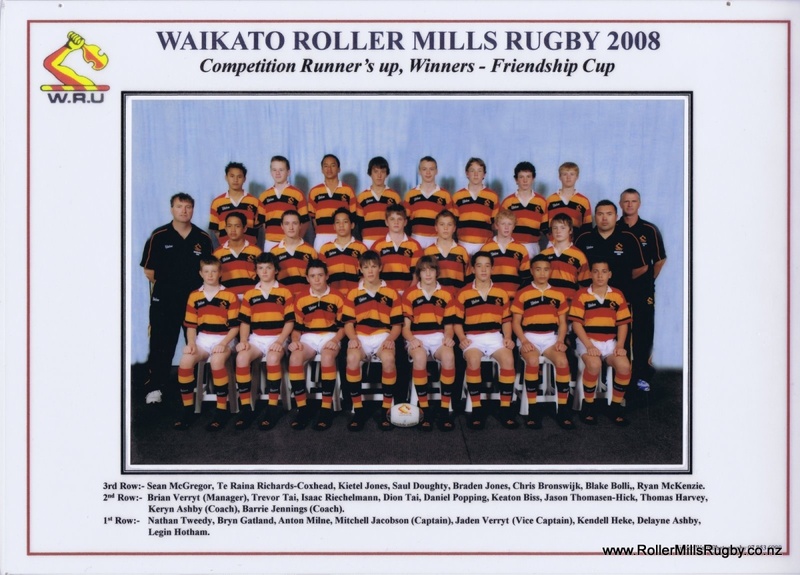 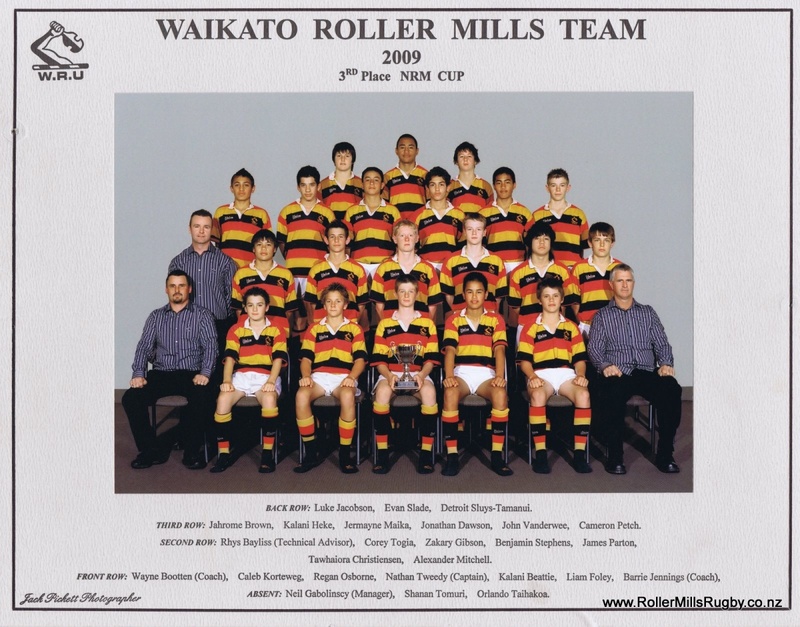 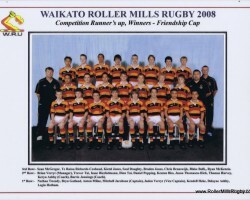 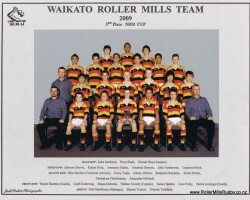 In 2008 Waikato Rugby Union merged the Waikato Rovers with the Waikato Rangers making only 1 team being sent to the tournament. 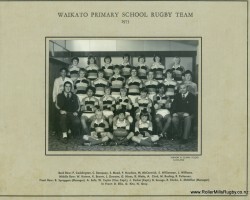 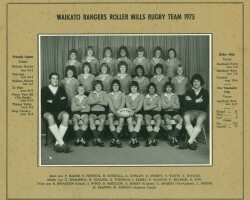 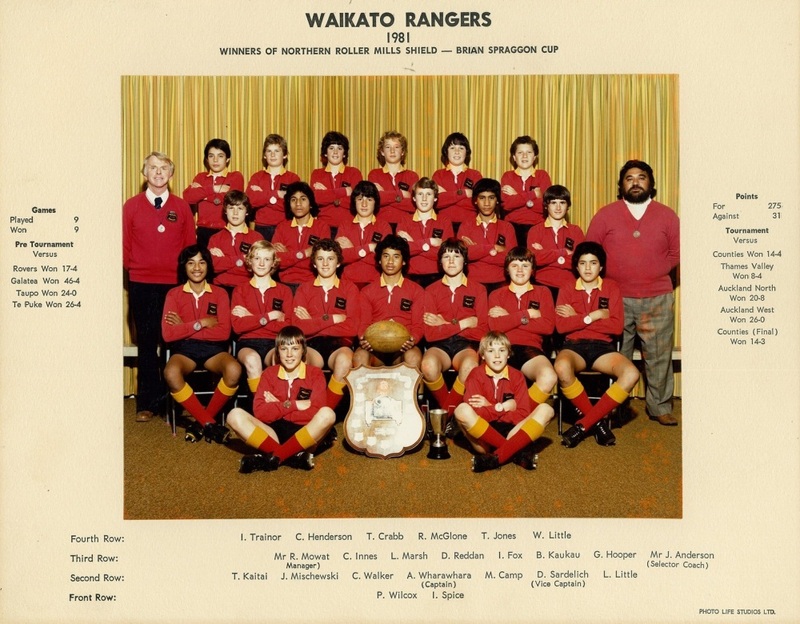 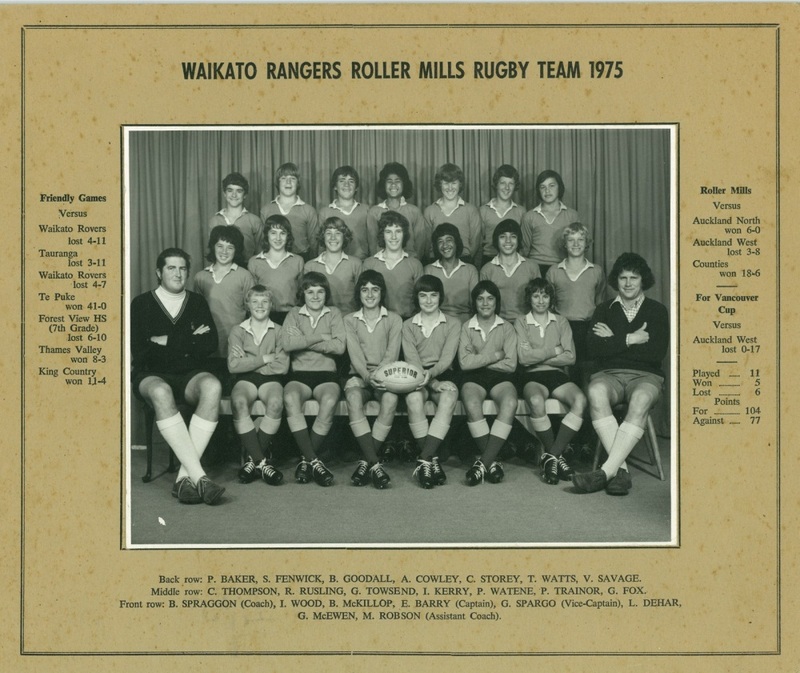 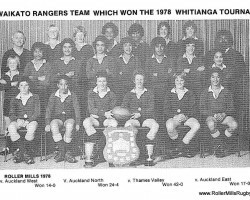 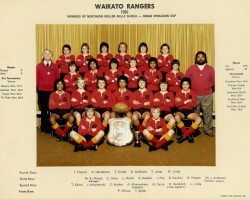 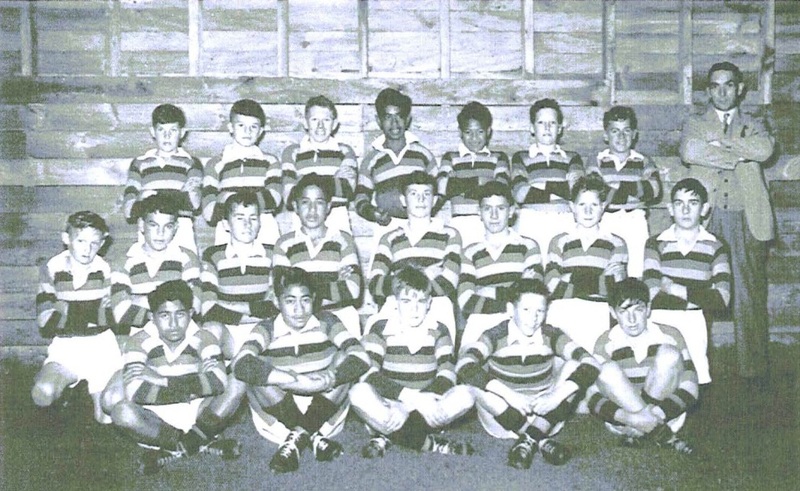 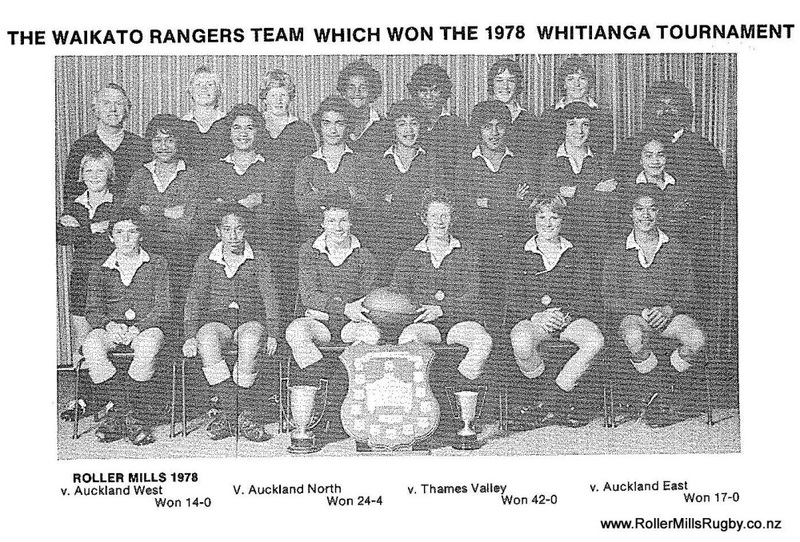 1973 Waikato Tournament Team picked from Rangers & Rovers, In this photo are All Blacks Geoff Hines & Warwick Taylor. 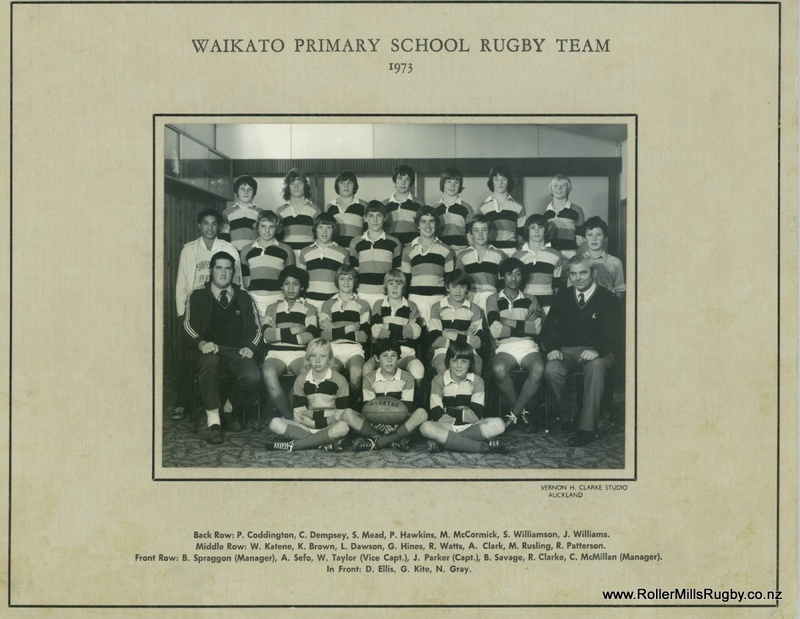 Click on image to open. 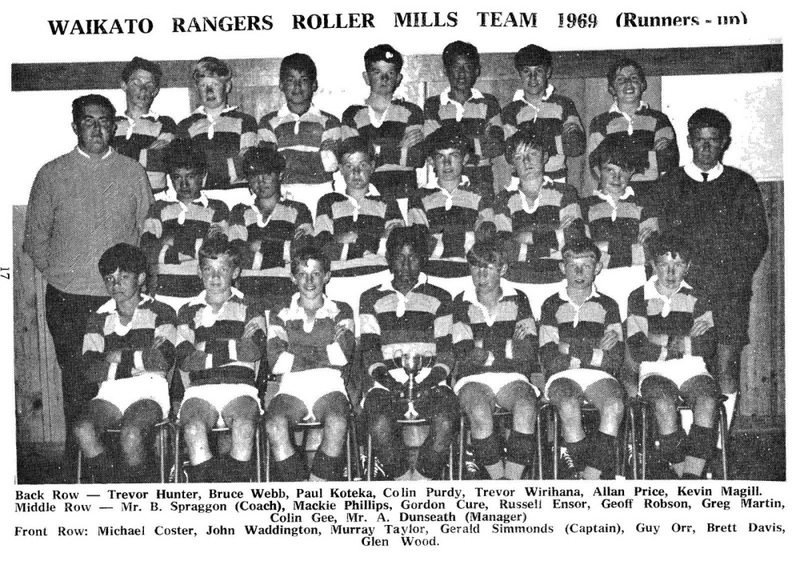 When open, at the top right click ‘Expand Image’ to see the full size photo. 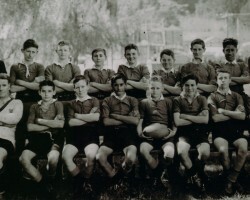 1949 Photo I was given this photo to scan from Les Fleming. 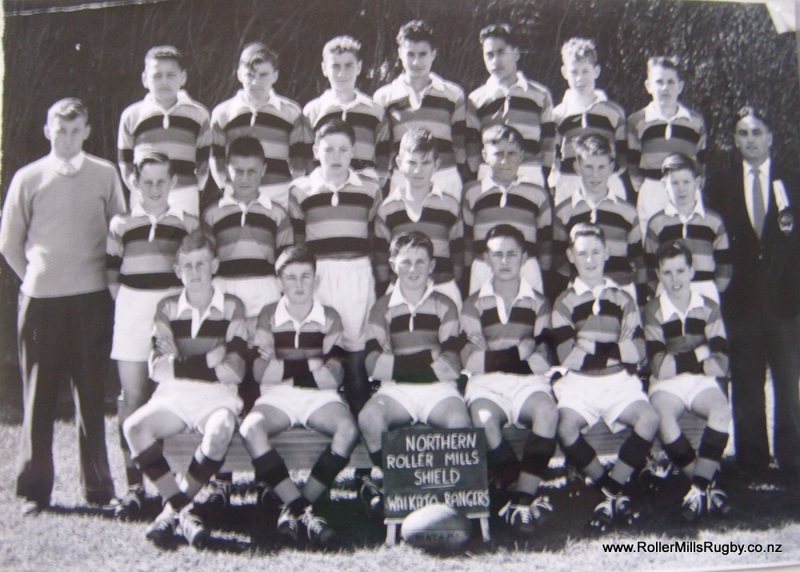 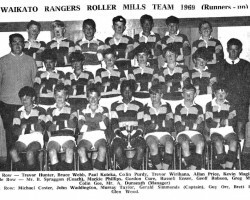 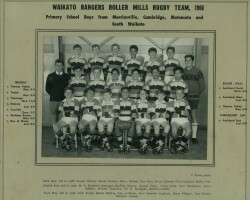 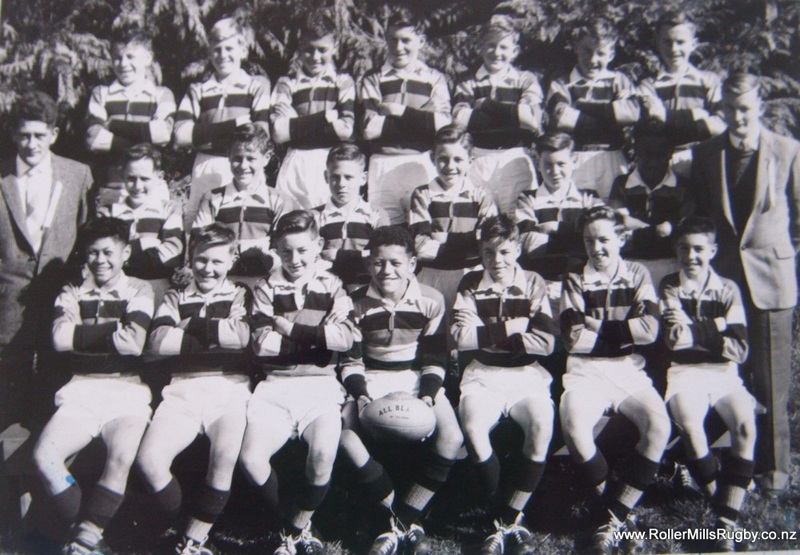 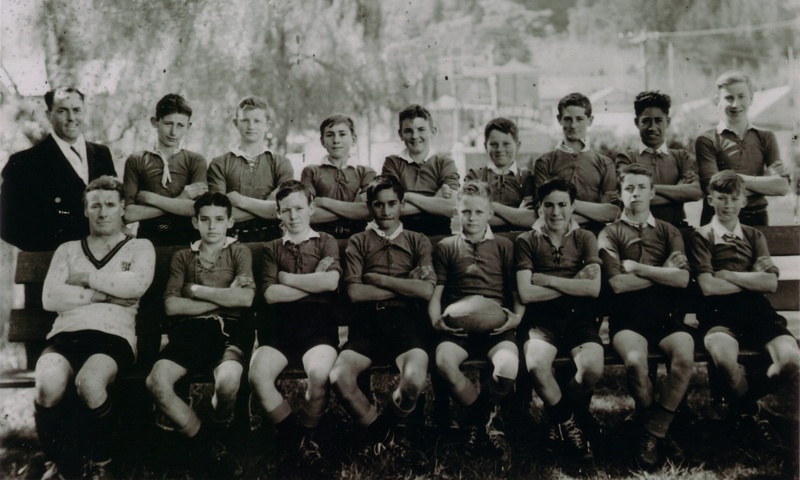 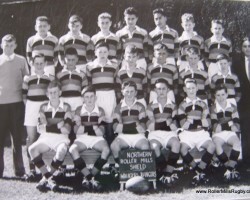 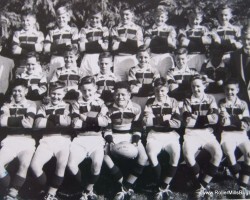 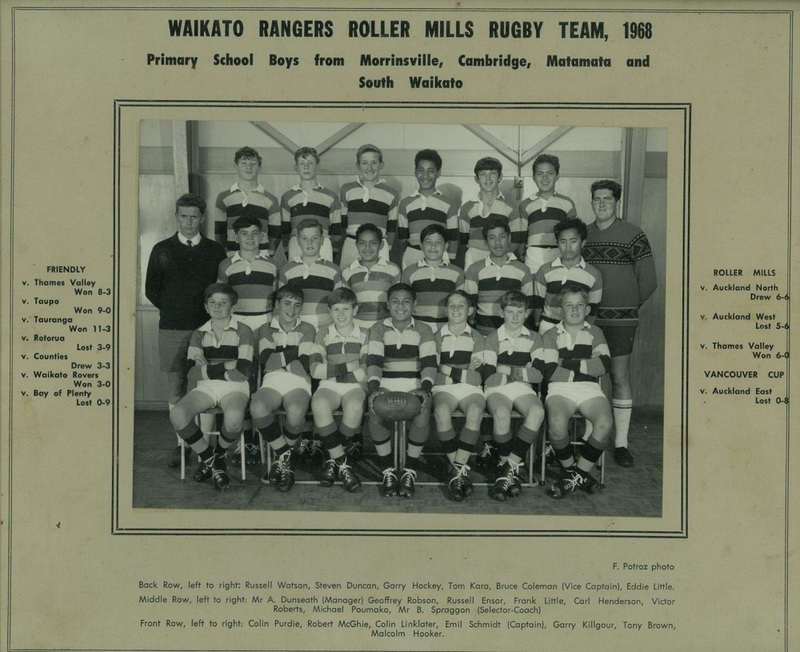 He played in the 1949 Waikato A Team which was Waikato Rovers, in the Roller Mills Comp. 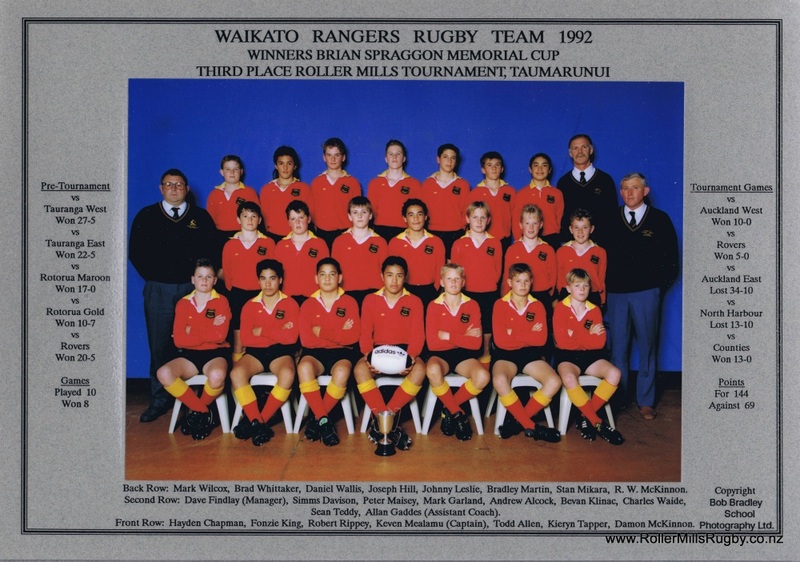 From what he told me, that was one of the last years they had an A & B team, ( or maybe the previous year) then Waikato was divided into two to form Waikato Rovers and Waikato Rangers. 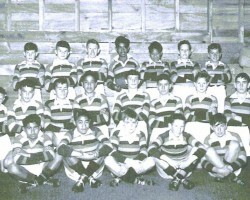 He said that one year the A & B team played each other and had a draw, after that the region was split in two. 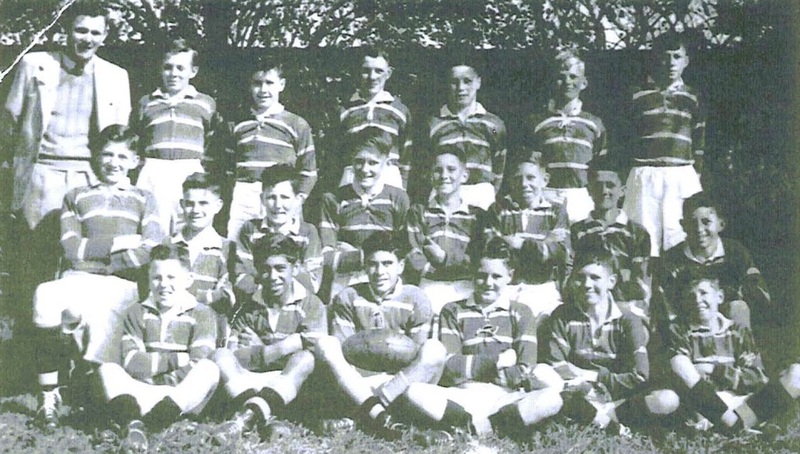 The only other person he has marked in the photo is Graham Kay, Back Right wearing the jacket. 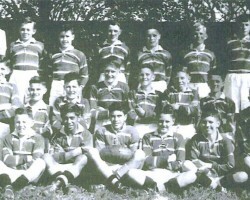 Les Fleming is Back Row 1st on the Left.